God of War game director Cory Barlog has confirmed that the game will have an extra graphical mode on PS4 Pro. Games that are enhanced for PS4 Pro typically offer players more options when it comes to frame-rate vs graphical fidelity. The upcoming God of War will too have a similar option. Though we don’t know what the modes are going to be called, or the details of what specifically will be prioritised, the game’s director confirmed that PS4 Pro owners are in for a treat, even if they don’t own a 4K TV. “Nope, you don’t have to, but if you do 4k is AMAZING, if you have a 4k TV, of course [emphasis his],” Barlog told a fan on Twitter asking whether PS4 Pro is required to enjoy the game. It’s not clear if 4K TV owners will also have access to a similar mode, as this sort of support is not standardised and typically varies with each game. Horizon Zero Dawn, another PS4 exclusive, offers the choice between performance and visuals regardless of the TV resolution. A similar solution could be implemented here, or God of War could simply only show the performance mode when running a 1080p TV. “If you run in 1080 on pro it will use the power normally used to render in 4k to make the game run faster. It looks/moves sooooooo nice,” he added in another Tweet. All will be revealed when God of War launches April 20 on PS4. 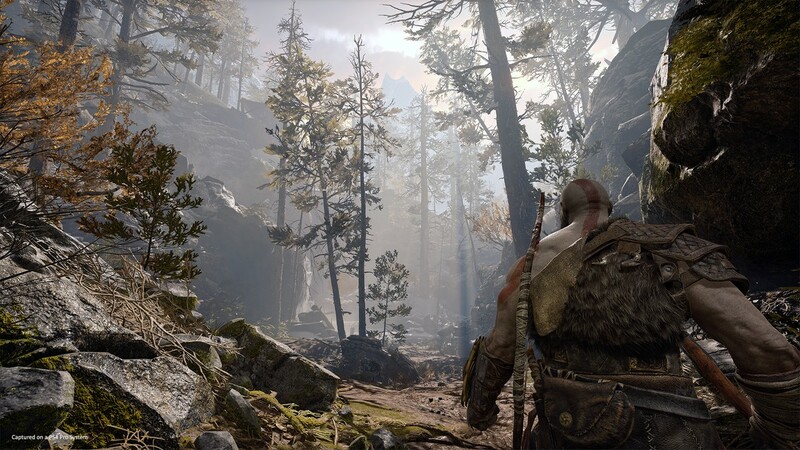 In other God of War news, the game was recently revealed to have four difficulty settings, with the hardest preventing players from reducing the difficulty when things get too challenging.